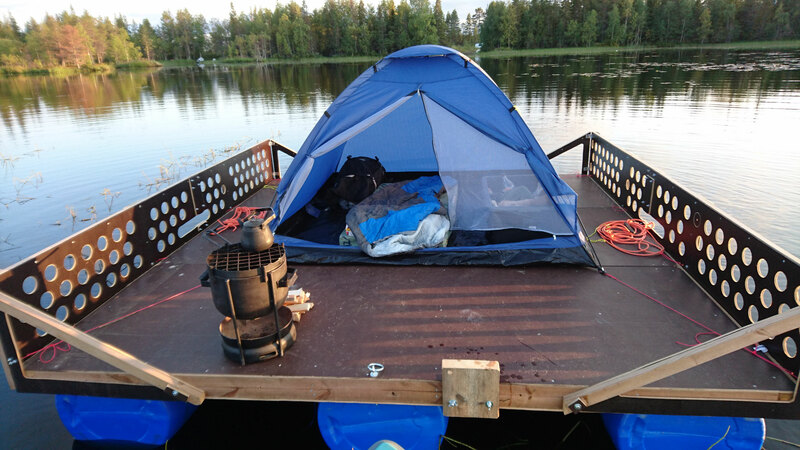 At the origin of those wooden raft programs, there is this childhood dream of building my own raft, and starting to discover the wide world from the deck of my proud vessel.... almost 40 years later, I decided to make this dream come true ! 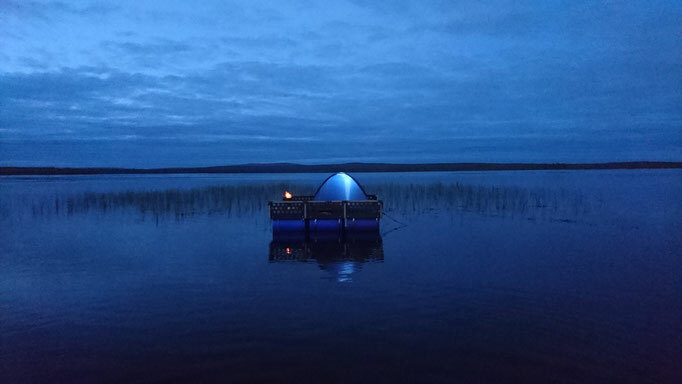 The building process by itself was a big part of the fun, and when I finally finished the raft, and strarted to use it, it was above all my excpectations! 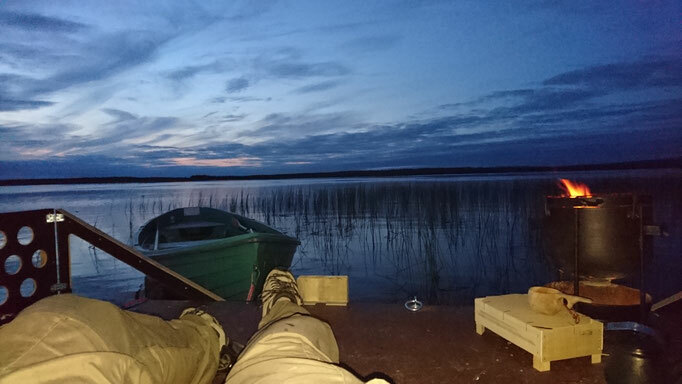 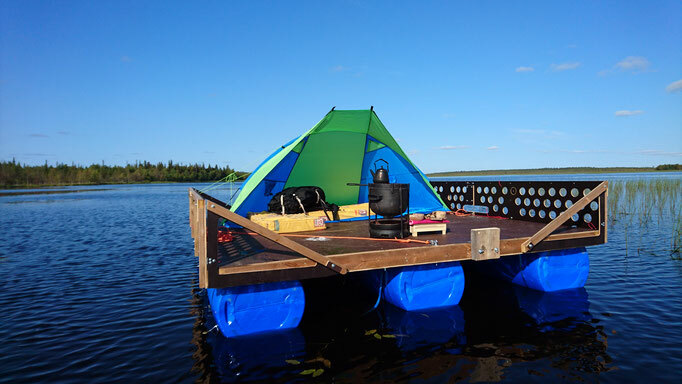 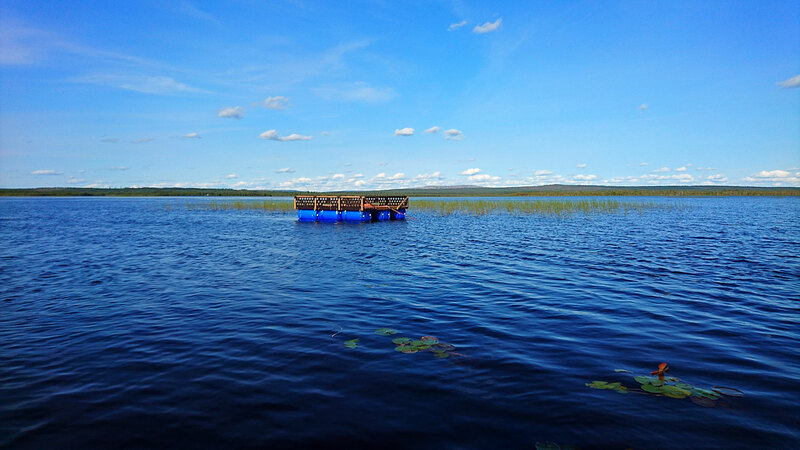 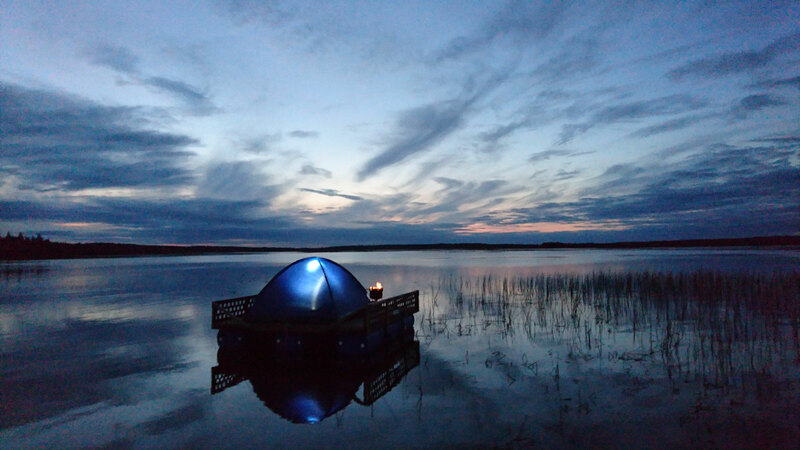 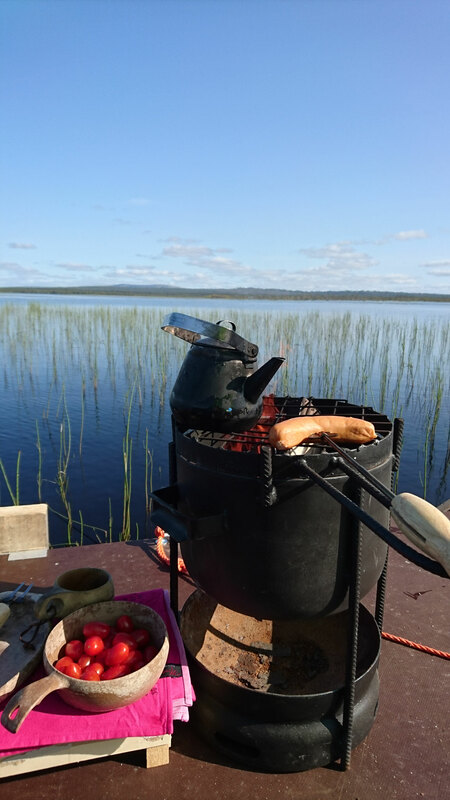 You can fish from it, use it as a fishing platform, enjoy a confortable day nap under the lappish sun, or you can even set your tent on it for the night ! The possibilities are just endless, and finally, I decided to share the fun, and to organise some programs around the use of this raft. 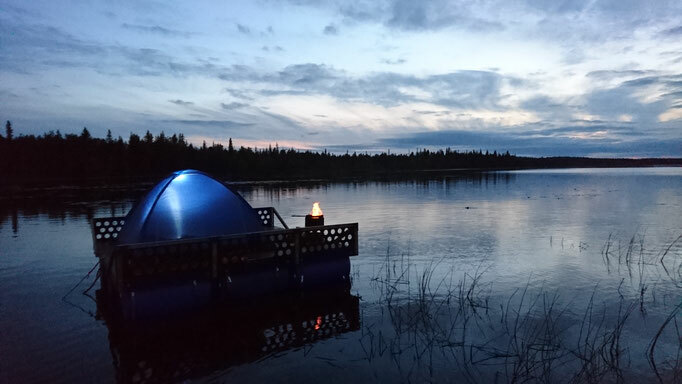 If you still have some childhood dreams and a little bit of adventurous spirit, join Arctic Horizons for on one of our homemade wooden raft program!! 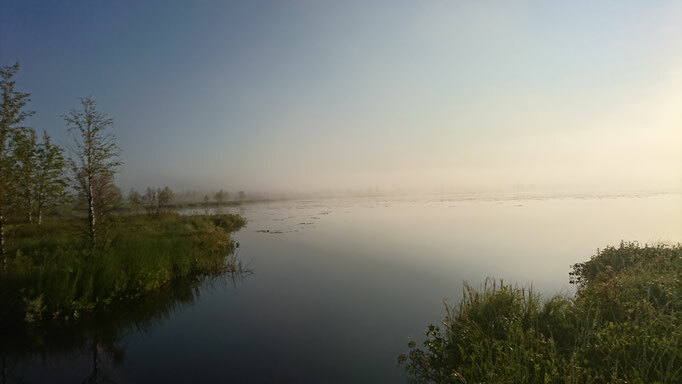 -Sleeping on a raft and boat adventures on lake Vuojärvi.